PLEASANT BAY BIBLE CONFERENCE GROUNDS INC hasn't added a story. 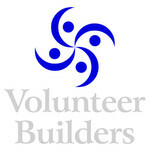 Volunteer Builders is a non-for-profit organization. Our central purpose is to design and build at least one structure each year for a worthy community-oriented recipient. We build our projects using volunteer staff and donations of design and working drawings, materials, equipment and project coordination, food and funds. In just one weekend, this year our goal is to provide two camper cabins, fencing around archery area, a new shelter for day campers and some maintenance by building decks, stairs and a wheelchair ramp. Currently, our build choices focus on children's summer camps. Many have existed since the early 1900's and are in dire need of updating. More importantly, however, Volunteer Builders shares the belief that every child should have the opportunity to experience personal development in a fun and healthy environment. We are proud to be Commercial Members of the Ontario Camps Association. Each year, Volunteer Builders strives to build on our own organization's foundation so others in the community can participate in and benefit from the service, experience and projects we provide. PLEASANT BAY BIBLE CONFERENCE GROUNDS INC hasn't posted any updates yet. PLEASANT BAY BIBLE CONFERENCE GROUNDS INC is managing the funds for this campaign. PLEASANT BAY BIBLE CONFERENCE GROUNDS INC is a verified organization. Fuellocal.com is a trademark of Metroland Media Group Ltd. and used under license.